Besides being the Biggest Little Show in the World, Sisters Rodeo Parade hosts the Biggest Little Parade in the West. Crowds add this adventure to the rodeo experience in a parade of rodeo queens, Corgis, wagons, music, costumed riders, classic cars and loads of fun. 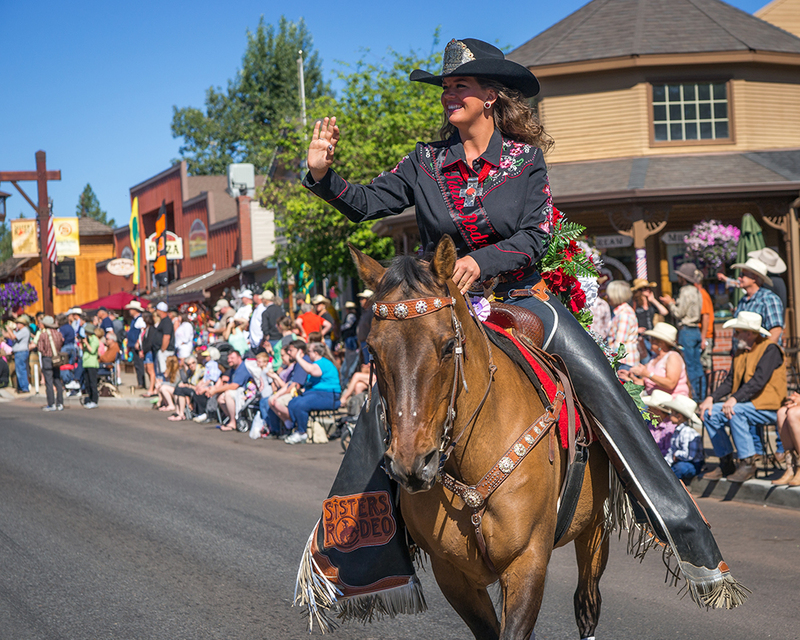 Get up early on Saturday, June 8 and come to the parade at 9:30 in the charming western-themed town of Sisters. 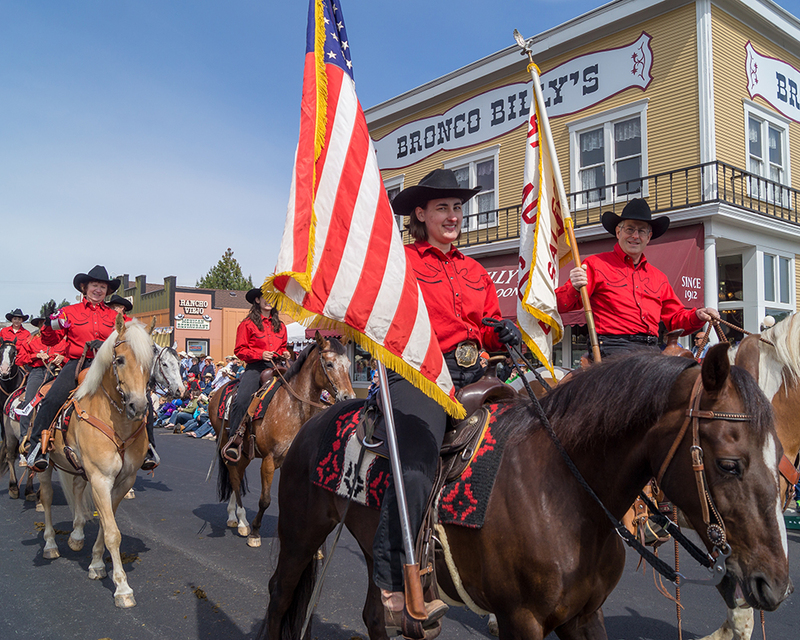 To participate in the 2019 Sisters Rodeo Parade on Saturday, June 8, complete the online registration form no later than May 15. Space is limited, do not delay. 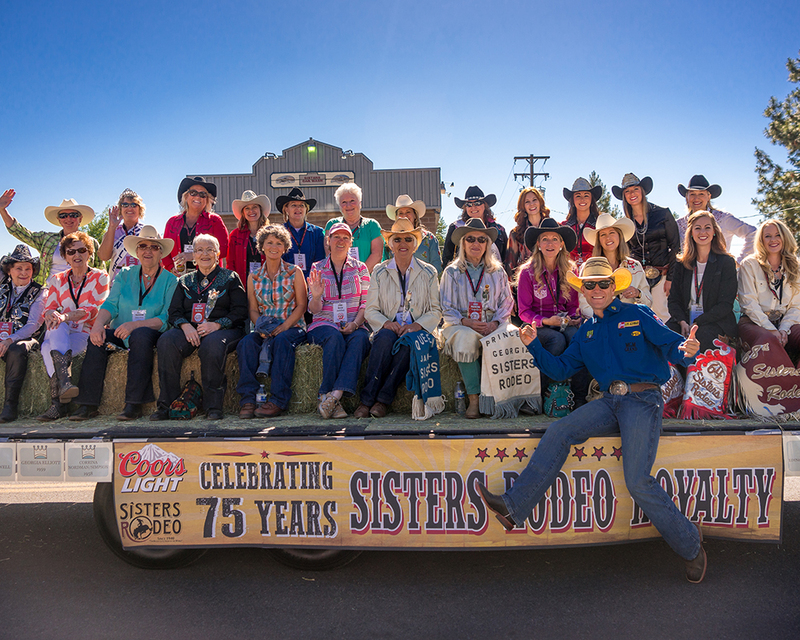 Join us for the Sisters Rodeo Parade – a highlight of Sisters Rodeo weekend since 1940. It’s toe-tapping, flag-waving fun for all ages. The parade begins at 9:30 a.m. sharp on Saturday morning and travels through historic downtown Sisters. The parade features the Grand Marshalls, rodeo queens, horses & more horses, classic cars, floats, musical groups and so much more. Registration is limited! Deadline is May 15. Safety and time limits (we have only one hour to close the highway) make it very important that participants & volunteers work together. No alcoholic beverages allowed in line-up or parade route. Candy and other objects are not to be thrown during the parade. Handing out is ok.
All animals and their actions are the responsibility of the handlers. Parade desk opens at 7 a.m. Judging takes place at 8:30 a.m. Parade starts at 9:30 a.m. Volunteers will be available to help or answer any questions you have. Complete and submit the form below. Please complete all requested fields. Applications are due by May 15. Confirmations, line-up information, maps and parade numbers will be mailed by June 3. Auto Club Entries: You are limited to 10 cars single file or 20 cars double file. Rodeo Courts: Please include dates of your rodeo. For grand entries you will be entering. Awards will be given out for first through third places and given to winners as they pass the registration desk. Please contact the Sisters Area Chamber of Commerce for current lodging, boarding, and camping information at 541-549-0251, 866-549-0252 or visit www.sisterscountry.com. For additional information about Sisters Rodeo, please call 541-549-0121. If you have additional questions, please email Jeri Buckmann at parade@sistersrodeo.com. Click Here to Register for Parade!Click Here to Register for Parade!